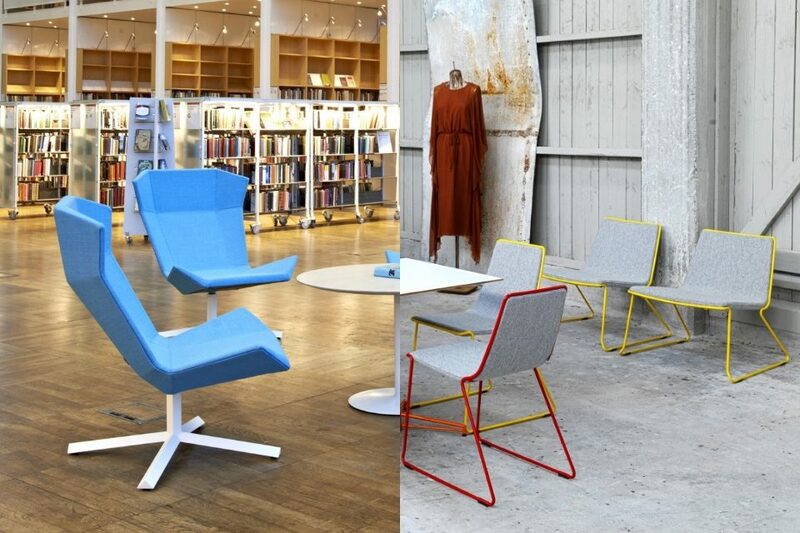 Flexibility and collaboration are two key buzz words in office design trends. Creating spaces that offers multiple use allows staff to enhance and utilise their workplace according to changing and evolving needs. This is further enhanced by a supportive range of furniture choices that allow use in more ways then one. Here, we highlight a pick of five products and highlight how they can be used in multiple settings and for a number of applications. The Pantagruel table is a picnic table with a fun and stylish twist. 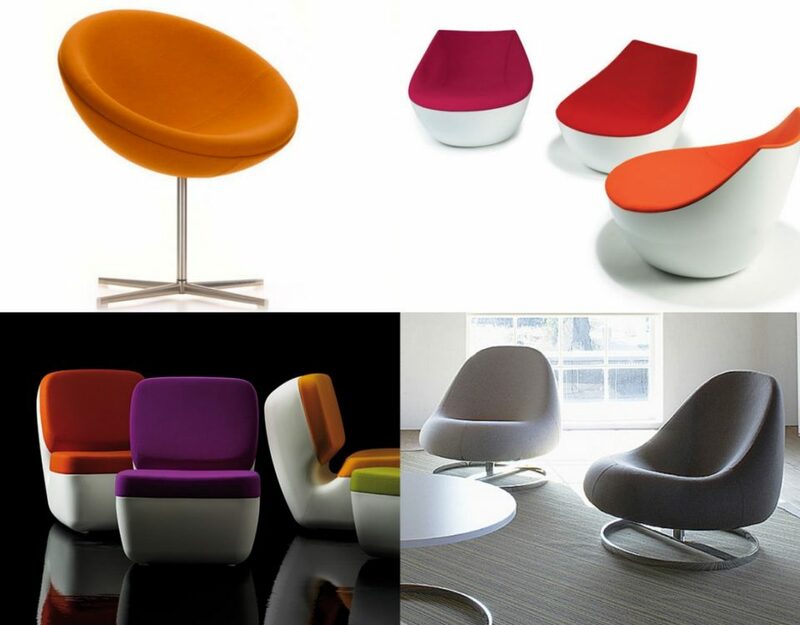 The round shape makes the table great for face to face collaboration, informal meetings and social lunchtimes. 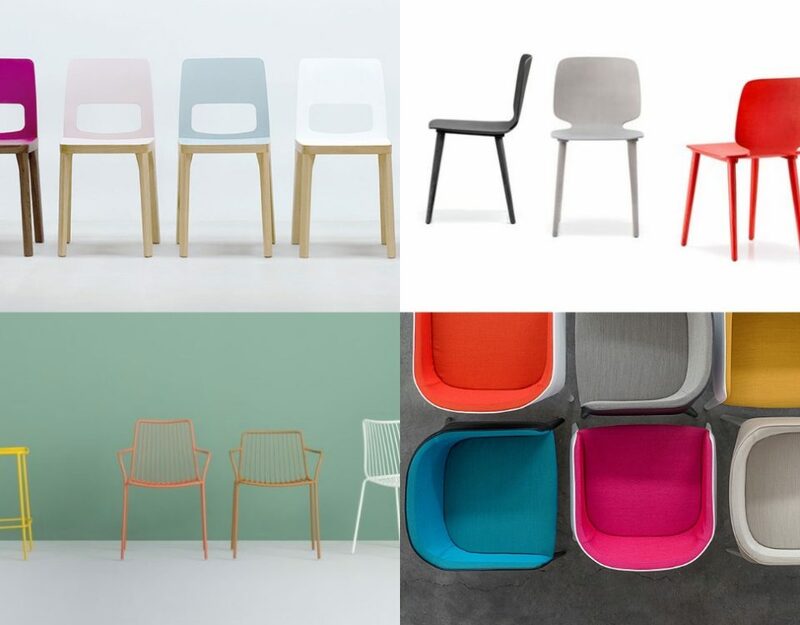 The highlight of the design is the steel powder coated frame that can be finished in a choice of colours. Create a quirky indoors breakout space or take work outdoors as the solid wood composition of Pantagruel means the table is suitable for outdoor application. Take a picnic table and a rectangular meeting table and put the two together and you have the Marina table. 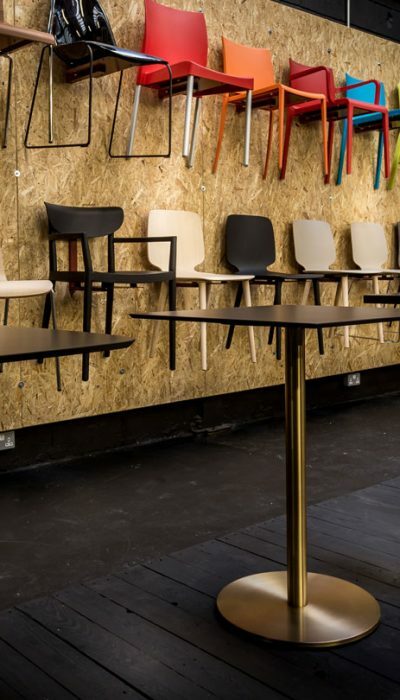 This versitile and adjustable table rests between creative canteen furniture and fun meeting room furniture. Placed within interrogated spaces or breakout areas, the Marina table can become a space for informal meetings, group discussions or recreation and break time. The classic picnic table look is given contemporary appeal with a pultrusion fibre glass profile and powder coated steel frame. The added quality of the Marina table is that numerous other tables can be joined to make an endless table. 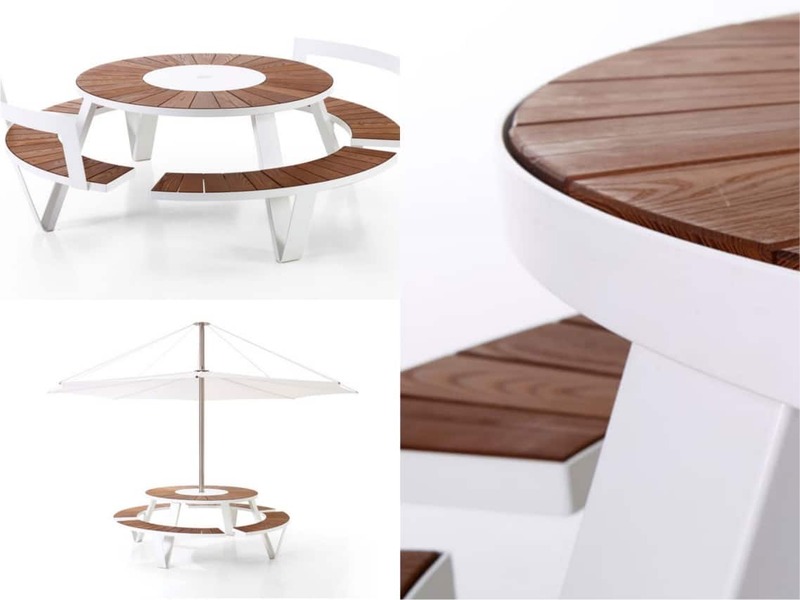 Do not let the lightweight appearance of the Picnic table delude you from the high quality of this innovative piece of design. 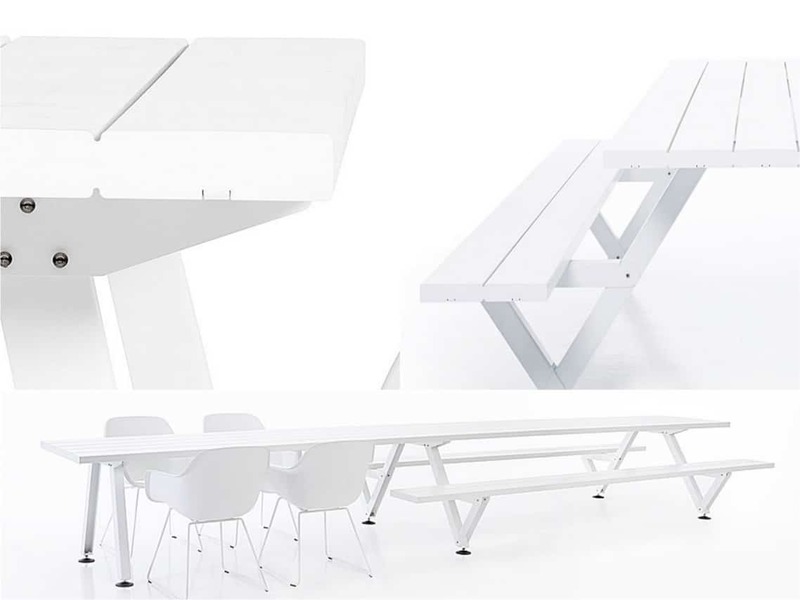 The Picnic table is made from a single sheet of 10 mm aluminium plate finished in colourful powder coating of your choice. 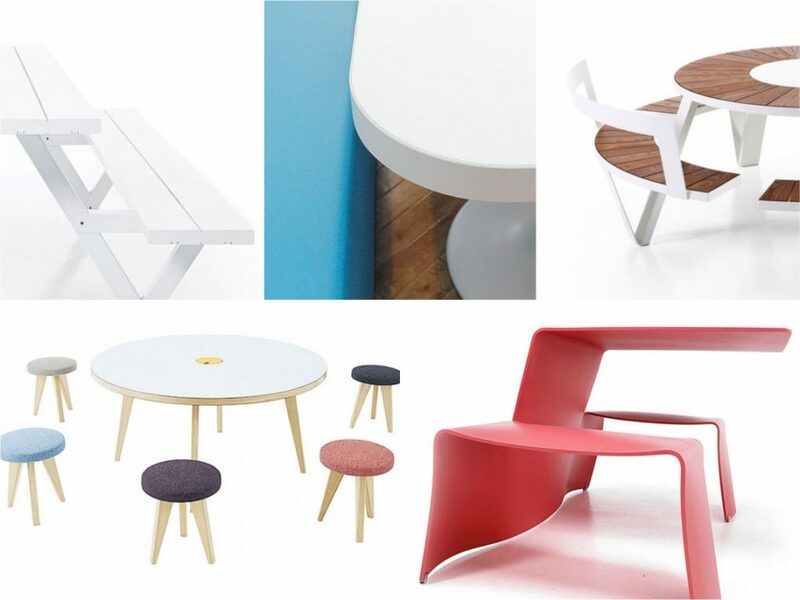 The simplicity of the tables’ form quintessentially adds to the multitude of uses it encompasses. 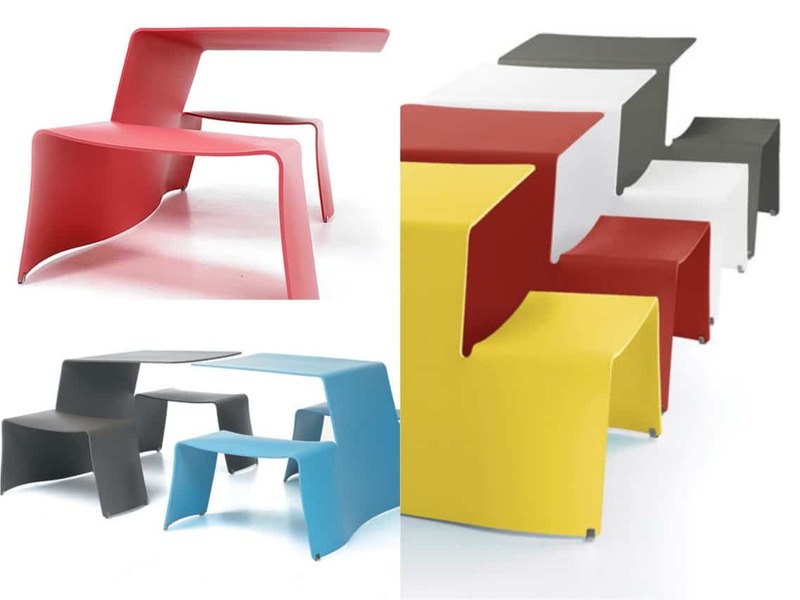 Used alone or in line with a range of tables, create an adventurous space inside or outdoors for staff to utilise throughout the day. 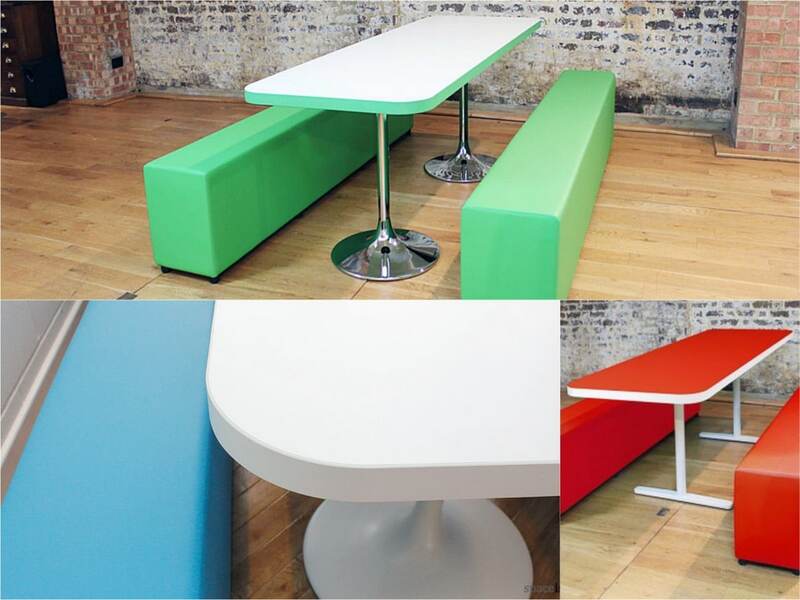 Applied in school, college and university projects, the Soft bench set increases seating space and allows numerous activities to take place without presenting restrictions on workspace. 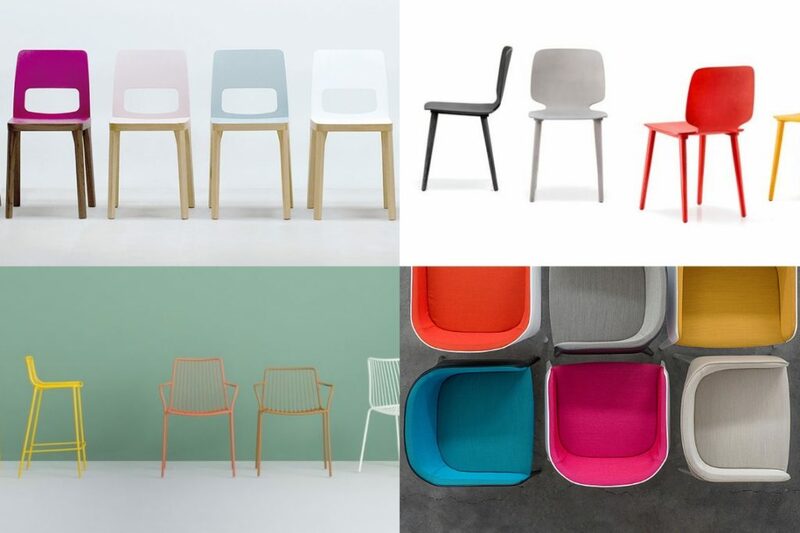 Bench seating eases clutter as single chair seats would and increases social interaction. They make an ideal option for common rooms where the space is used for both recreation but also study and socialising. The rounded corner finish eases impact making it great for high volume spaces. 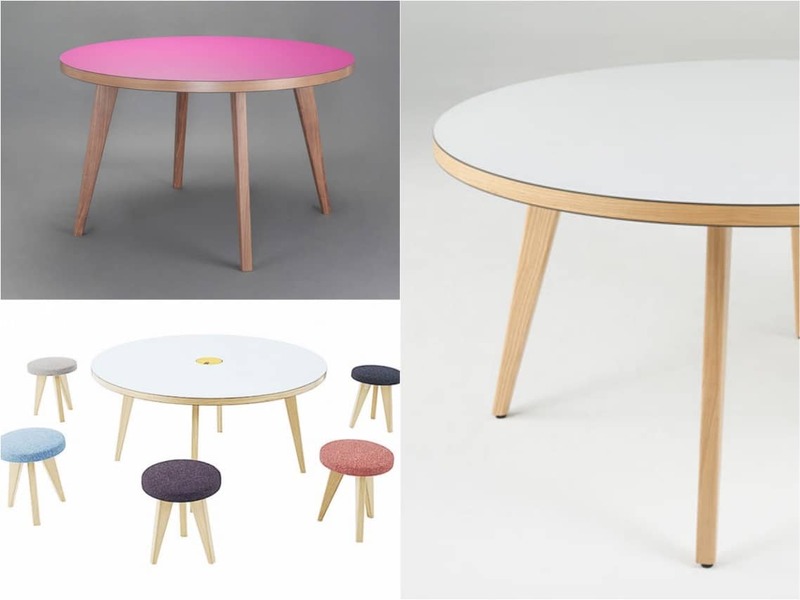 Presenting high quality with refined style, the Jura round table is a classic wooden table made for modern interiors. 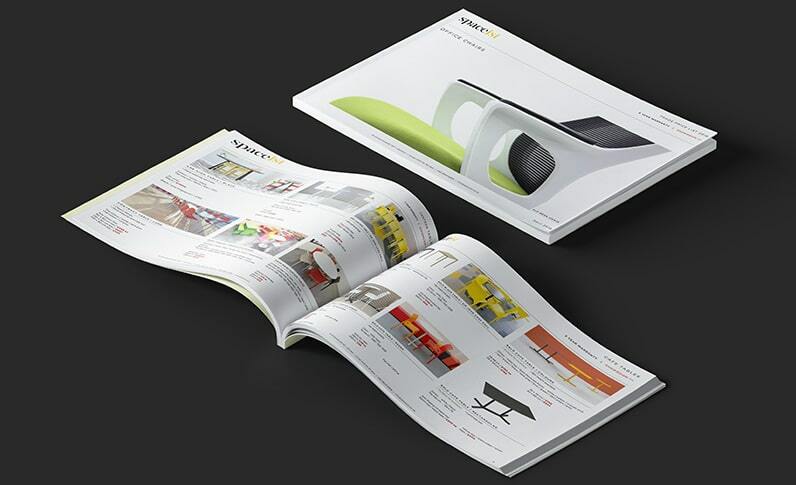 Apply it to numerous spaces and it will not fail to provide high functionality. 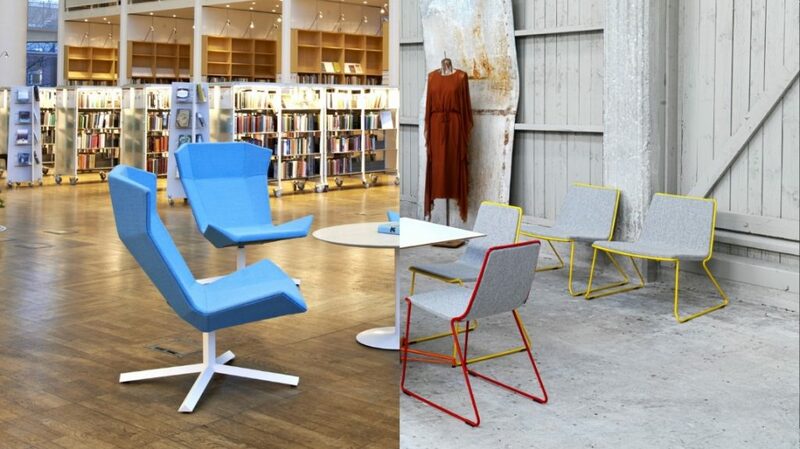 Add chairs and it becomes a meeting table or add stools for breakout space; the table can be redefined for multiple use. The lightweight properties of the construction make it easy to move, whilst the hardwearing Formica laminate gives it contract-level durability.